From the classic Diadora sweatshirt to the iconic adidas trefoil logo you’ll love our latest collection of sweatshirts for the season. In more recent years the basic crewneck sweatshirt has become just as popular as the traditional knitted jumper with its athletic heritage going back nearly 100 years. As new trends come and go the sweatshirt has stood the test the time and was first seen on athletes in a traditional grey colourway back in the 1920s. 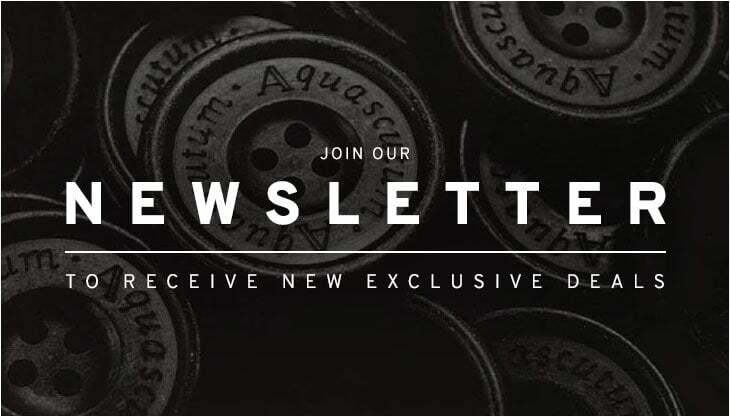 The name came from the sweat absorbing function of the fleece cotton jumper which marked the next generation of sportswear as we know it today. As sweats still continue to rule the roost in casual lounge-wear it only seemed fitting to offer the iconic athletic apparel silhouette in classic 80s casual style with retro logo versions like the classic Diadora sweatshirt alongside updated 90s styles from the likes of Marshall Artist. 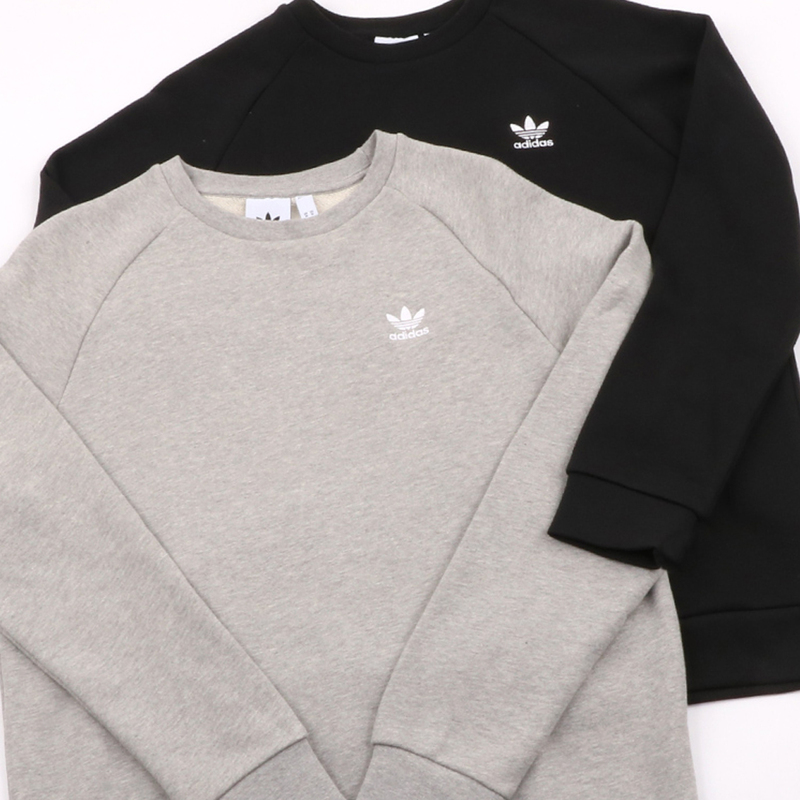 Above: The adidas Originals Essential Crew Sweat now available at 80s Casual Classics. As far as sweats and subcultures goes it was the original B-Boys from the 1970s and 80s that brought the sweatshirt phenomenon to other parts of the world. Just like the tracksuits they wore, sweats were super comfy and allowed for full body movement when break-dancing. Sweats have continued to be a popular part of hip hop culture ever since for their ease of wear, athletic function and overall comfort. So if sweats are your thing, the good news is we’ve now introduced a range of fresh new logo sweatshirts from the likes of Diadora, adidas Originals, Ellesse and Marshall Artist. 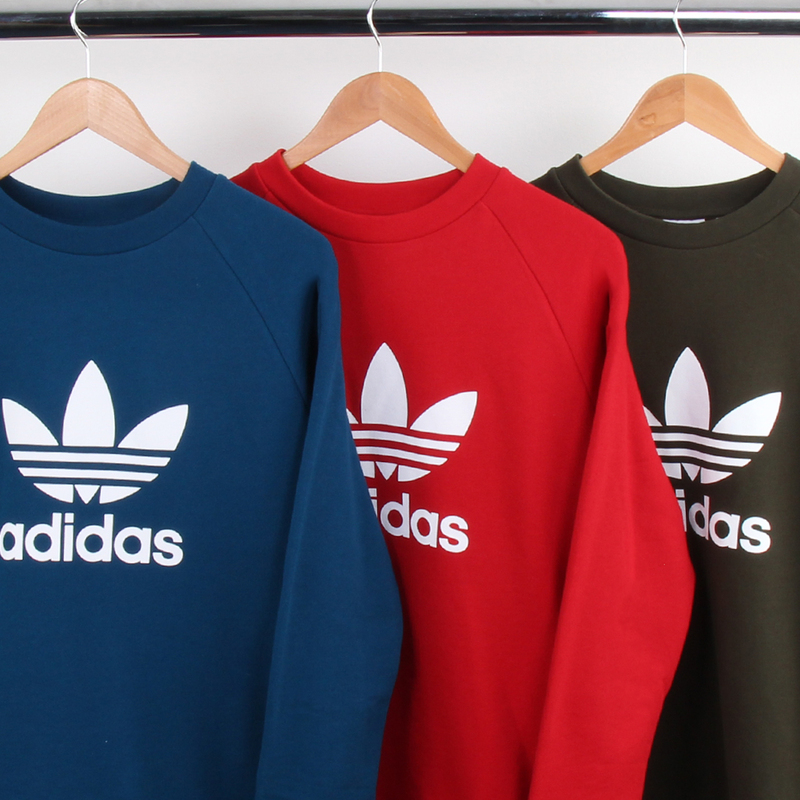 Some of the highlights of our latest selection of sweatshirts include classic cotton fleece trefoil sweatshirts from adidas Originals as well as big logo ‘athletes sporting goods’ sweatshirts from the Italian sportswear brand Diadora. 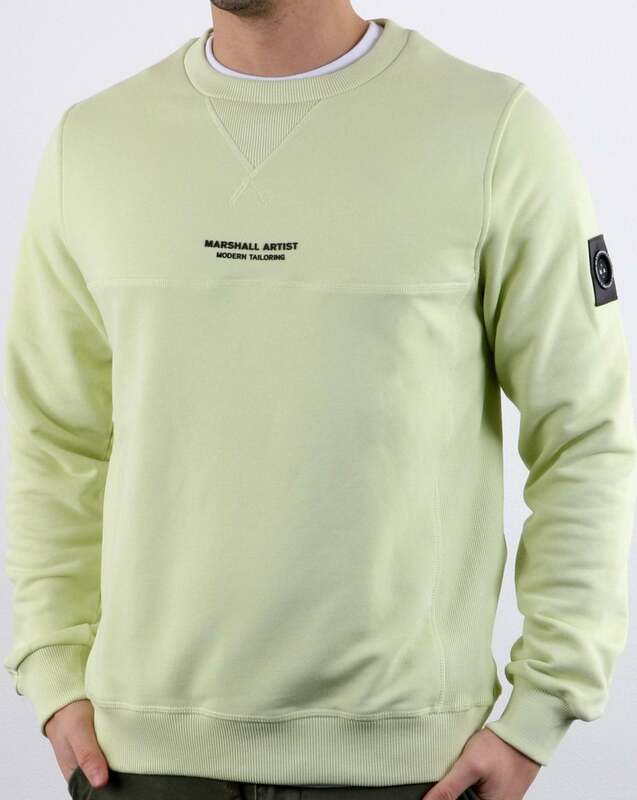 We’ve also got 90s style bold colour blocking sweat styles from Ellesse and ‘Siren Sleeve’ sweatshirts from Marshall Artist in brand new colourways such as ‘Acid Lime’ among others. As well as a massive selection of available colourways we’ve also got sizes running all the way to 2XL. A perfect addition to any retro lover or sportswear enthusiasts wardrobe, the sweatshirt is also great for layering up for the colder months. Above: The Diadora Logo Sweatshirt in ultramarine now available at 80s Casual Classics. 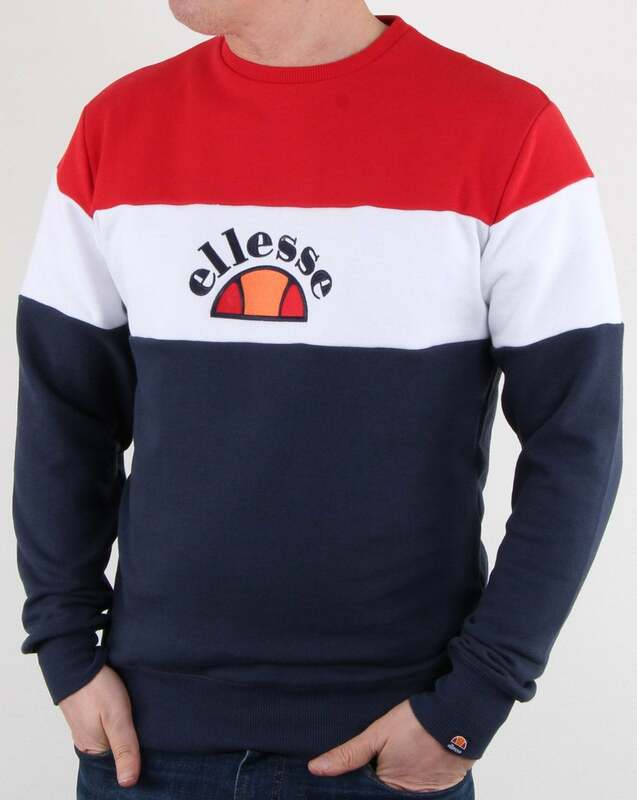 Above: The Ellesse Oriveto Sweatshirt in navy/white/red now available at 80s Casual Classics. Above: The Marshall Artist Siren Sweatshirt in Acid Lime now available at 80s Casual Classics.